It was truly an opening experience, as well as expanding my awareness of the amazing insights of an ancient tradition, that continues to keep revealing its ‘wisdom & magic’ at this present time. I’m honored to be able to carry this out into my world experience, sharing its magical wisdom thru fun and lightness of being. I so appreciated the depth and width of information Alaya presented. She moved the class along at a pace that allowed for movement but not overwhelm. Her passion for this complex body of knowledge inspired my own excitement and curiosity. It was an honor to learn what she brought through and to know she brought it through because of her passion for the learning and the materials. Thank you for the hospitable space you held Alaya and the absolutely professional presentation of materials across the board. Alaya’s I Ching AcuPresence training in Ojai was incredibly useful and insightful. Her synthesis and integration of the I Ching, Gene Key system and acupuncture therapy is ancient and new. As a licensed acupuncturist in practice over 20 years, I learned a new and useful methodology – AcuPresence. Very pleased! How activating, opening, and empowering this training is. I am excited to get to know myself even more and fall deeply in love with essence. The intentions, the practice, the ritual are an amazing tool that have brought me closer to decoding my complex blueprint and initiates my/our healing. Brilliant! Alaya combines the wisdom of acupuncture, gene keys, iching, and human design to create a way for users to access their essences and the acupuncture points that contribute to their journeys of self development. This was one of the most powerful workshops on self healing I’ve attended. I can’t imagine my life without it. Alaya brilliantly distilled the essence of great works into essential simplicity. 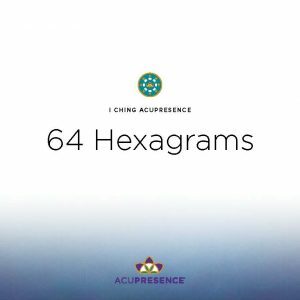 We integrate the I Ching, Human Design and the Gene Keys with AcuPresence into an easy physical tool that I was ready for. I feel an ease and relief that I can live my life purpose/work by using the AcuPresence points. Thank you so much Alaya for putting all of this together in a simple practice! I am grateful for the experience to combine my acupuncture training with a tool for spiritual growth. AcuPresence with the Gene Keys opens my practice up to a whole new world! Truly a magical weekend. Blessed to be surrounded with a group of amazing and wise people. Deeply grateful to learn AcuPresence by Alaya. It is amazing how by just pressing the points and saying the invocations you can actually feel how the energy goes through the points and the energy spreads out to the rest of your body. Thank so much Alaya! AcuPresence took my experiment of living my Design to a whole new level. It’s a powerful tool to integrate higher frequency in a very simple yet profound way. I knew I was ready for that next level without knowing what it was, and now I see that AcuPresence is that next level. Thank you Alaya! Deeply grateful! AcuPresence is a gift each time I use it. It supplies a format for me to be with myself, without distractions. It allows me to bring myself self-love and self-healing in a simple, yet profound way. In the mornings when I arise, I look forward to doing my points and the healing affirmations. I find a peaceful calm comes over me when I apply this tool of self love and healing. Such a gift to myself and a brilliant way to start the day. Having received acupuncture treatments from Alaya DeNoyelles for over a decade, I experienced real transformation, positive change, and deepened connection with myself through Alaya’s work with the Spirit of the Points. Now I can give myself the same gift. Through AcuPresence, I have become a practitioner myself, able to turn within to my own toolbox of acupoints. I can replenish my spirit at Spirit Storehouse and nourish myself with the fountain of life at Bubbling Spring. I am excited to be empowered with my own relationship to the Spirit of the Points.